The design is snug, comfortable and offers a good fit. Made for in-ear use you get three different sized ear tips to select the most comfortable size and fit. The ENACFIRE E18 wireless earbuds stay secured and fit nicely which prevents them from falling off. The tight fit assures comfort, good music output without much interference from environmental noise. They are lightweight, comfortable and work them for hours at a time. On a single charge the earbuds can last 4 hours. If you use the charging case you get an additional 15 hours play time. Enjoy full day experience on the go or in the comfort of your living room. Enjoy the true wireless experience with connectivity exceeding 30 feet. No more cumbersome wires to untangle. The ENACFIRE E18 wireless earbuds has good sound output design to health recommended standard for ear safety. The earbuds produce amazing sound quality for your listening pleasure. You would enjoy the cool bass high definition output and stereo presentation. You don’t have to click the power button to get the device ready to pair. Unlike traditional devices they connect easily whenever just put them in your ears. 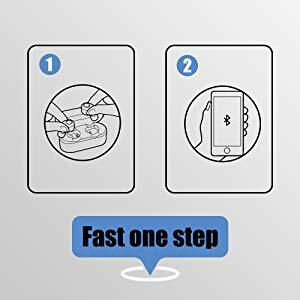 It takes literarily seconds to connect and require no skill or fuss. The connection process is simple take the earbuds and connect with the mobile phone automatically. 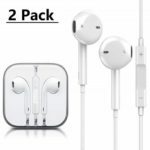 Once his is achieved all you need to do is anytime you need them take them out place in-ear and they readily connect. 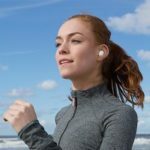 The earbuds based on their true wireless nature offer multiple use opportunity. 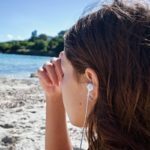 You can share one earbud with your friend and enjoy the music together. Others include premium stereo while each twin earbuds can be tuned to single channel mode. This makes them perfect for driving to answer call with not much distractions. Priced at $34.99 they are a good buy any day. There are instances of cutting in and out during vigorous exercise. Having the mic placement in the ear has some limitations and the battery life is only 3 hours. Enacfire E18 has a revolutionary design and true wireless. You experience no cord drop off with uncomplicated headset pairing. No signal interruption akin to wired connections or poor output of many wired earbuds. The Enacfire has one step link technology that require zero skills. The connection is readily available wherever whenever unlike tradition earbuds that require one or two clicks. Another cool aspect is charge on the go. On a single charge it lasts 3 to 4 hours while application of the charger case extends the power to 15 hours. The headphone fit is in-ear, weight 1.76 ounces. The shipment weight is 3.2 ounces and you get 2 lithium polymer batteries included. You get a portable mini charging case to recharge on the go. It offers 4 times recharge and 3.5 hours music play time. For home charging you have the advanced charging system with latest magnetic charging support. It is fast and will charge 80% in 30 minutes. Switch to trickle charger to prolong battery life and earphones. 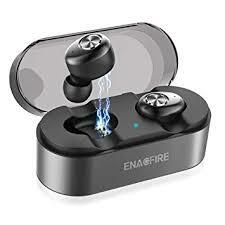 Other accessories are the ENACFIRE E18 true wireless earbuds, 1 x USB to micro charging case. More include 1 x 500Mah magnetic charging case, 3 x Couples silicone eartips, user manual and 1 year manufacturer’s warranty with 30 days no question asked refund. The Tao Tronics 4.2 wireless earphones offers good clear sound quality. It is ideal for music playing and answering calls. They have waterproof aptX stereo and a powerful built in microphone. Tao Tronics wireless fit nicely and play time is 8- 9 hours long. They have a 5V external recharger for 80 hours standby time including a rechargeable battery. The earphones is perfect for sport people, extroverts and athletes. This is because of a choice of 3x ear tips, 3x ear hooks that offer a more secure fit. Use the built in magnets to attach the earphones together when not in use. Other cool features are the noise cancelling cVc 6.0 technology to filter out outside noise for better listening pleasure. It comes with a highly efficient 5.0 bluetooth technology for faster pairing. While packaging includes user manual, 3x ear tips, 3x ear hooks, charger cable and headphones.